Attract potential buyers with a brief social media teaser video, then lure them into a 360 virtual tour of your listing. Our tours include full panoramic views of every room along with drone footage, featuring aerial photography and video of the property and its surrounding neighborhood. 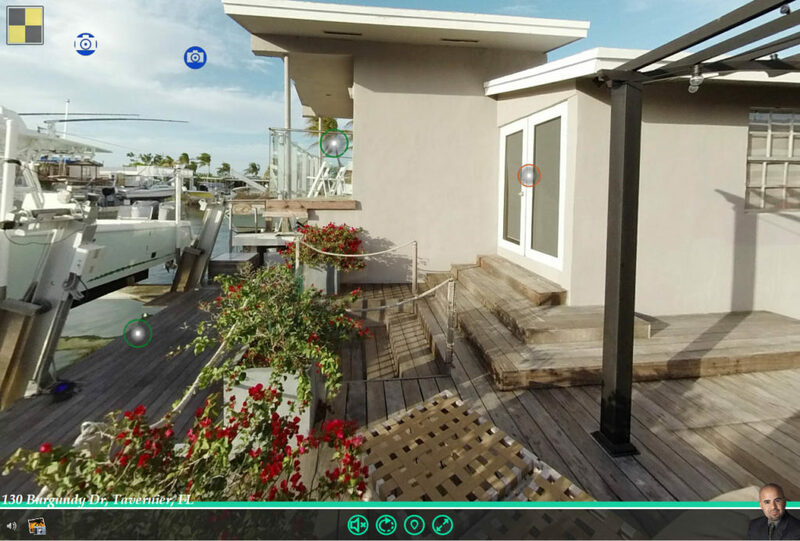 A 3D model featuring interactive 360 views of the exterior is also available for a complete and outstanding coverage of your listing, ready for your MLS and social media marketing campaigns. Real Estate virtual tours offer more than just convenience and smart marketing strategies, more importantly they provide Realtors with time and cost efficiency. By giving potential buyers a virtual open house, it reduces wasted time and money in showings a buyer may not be interested in, and increases opportunity by showing them properties they “are” interested in. VR tours can also give out-of-town buyers more insight into your listings, increasing its sales potential. 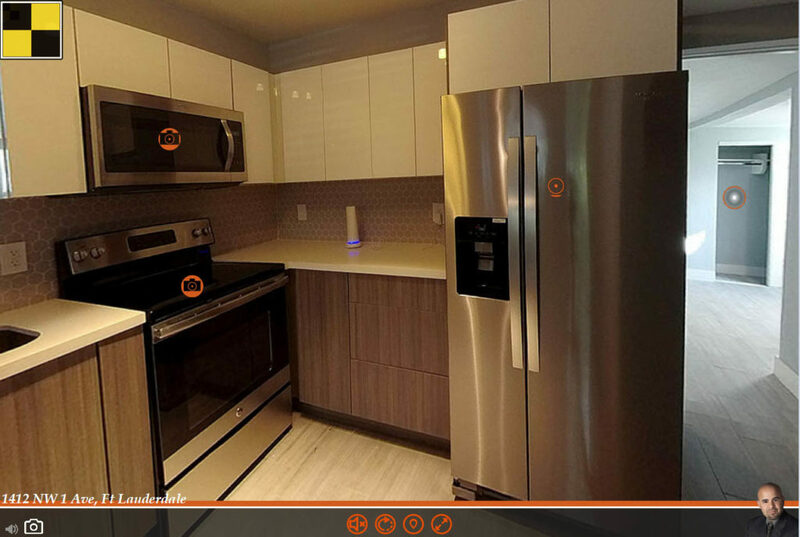 As if all of the above mentioned wasn’t enough, a VR tour also includes clickable icons throughout the house, giving a visitor more information, such as on appliances, flooring, roofing, and any other areas that can be highlighted to increase interest in the property. Our teaser videos and VR tours are completely customizable, from colors to buttons and design options. When you purchase your first tour, we work with you to create it just the way you like it. 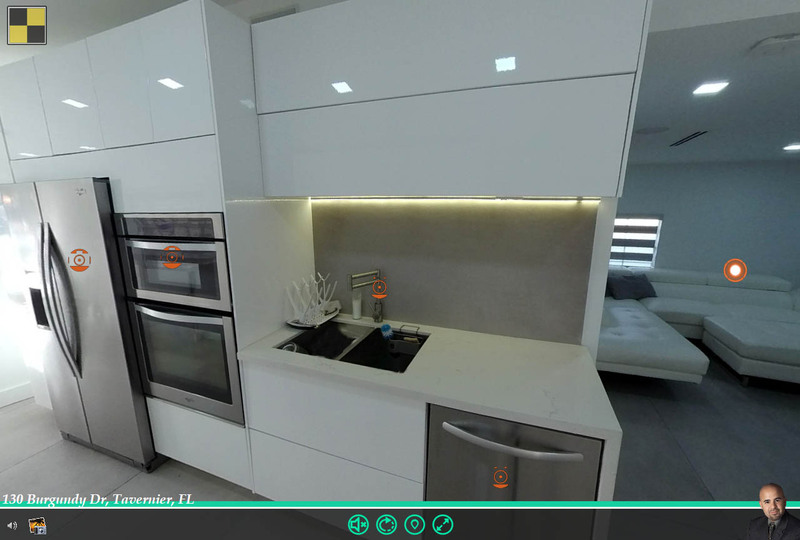 Typically, teaser videos are 60-90 secs long and branded with your information, ready for your social media campaign; while 360 VR tours are unbranded (can include your professional picture), hosted on our servers, and ready for you post on your MLS listing. Indulge yourself in some of our samples listed below. Some are active listings, while others have been sold.